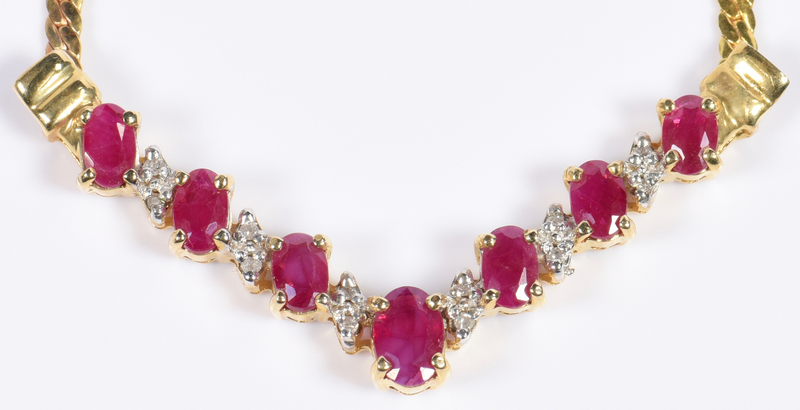 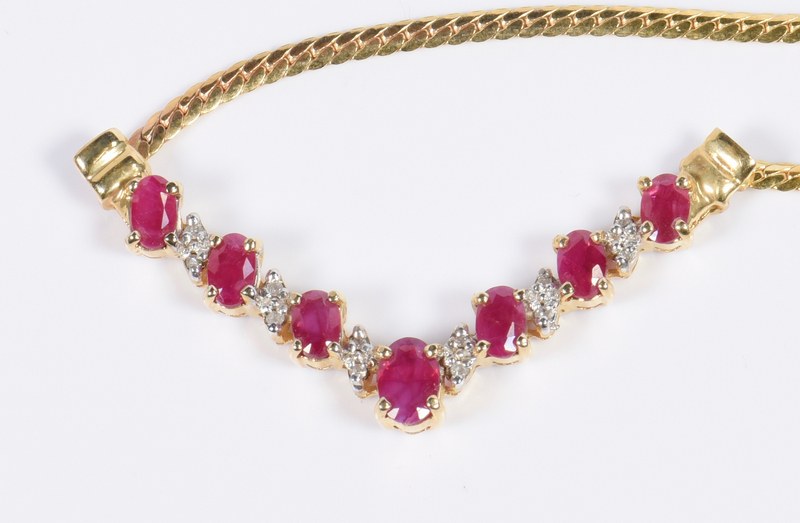 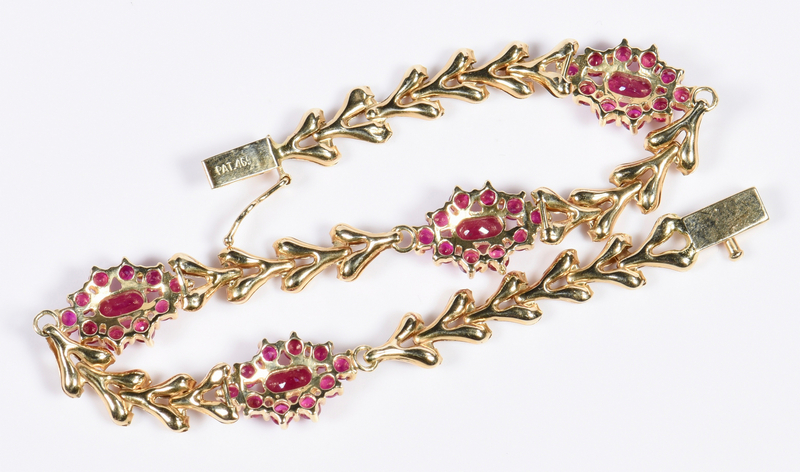 1st item: 14K ruby necklace containing 7 oval rubies set with alternating diamond chips with snake chain and lobster claw clasp, 18" L, marked Italy, 14K, 6.7 grams. 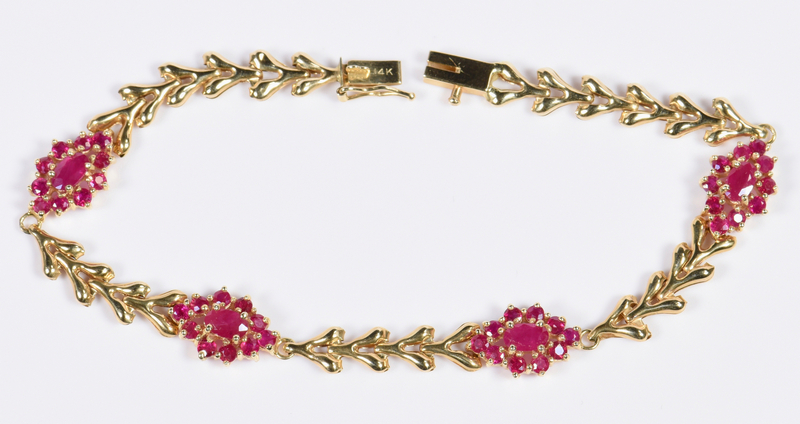 2nd item: 14K yellow gold ruby and gold link bracelet, 7 1/2" L with safety clasp, marked 14K, 6.3 grams. 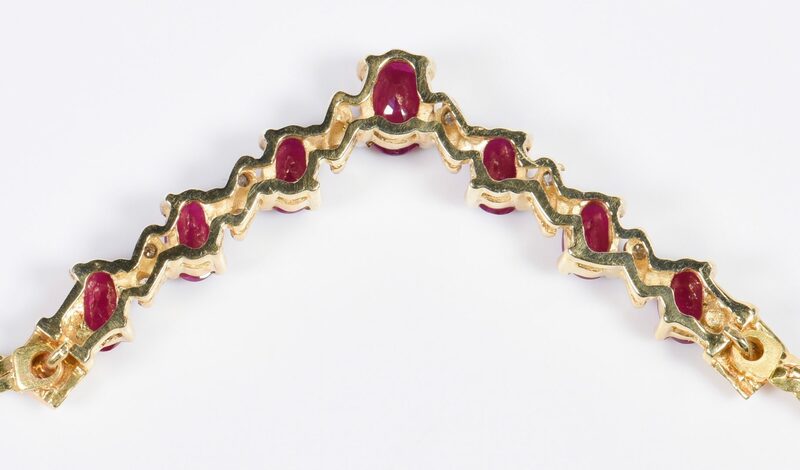 3rd item: 14K yellow gold ruby "stack" ring with side diamond accents, ring size 7 1/2, marked 14K, 4.1 grams. 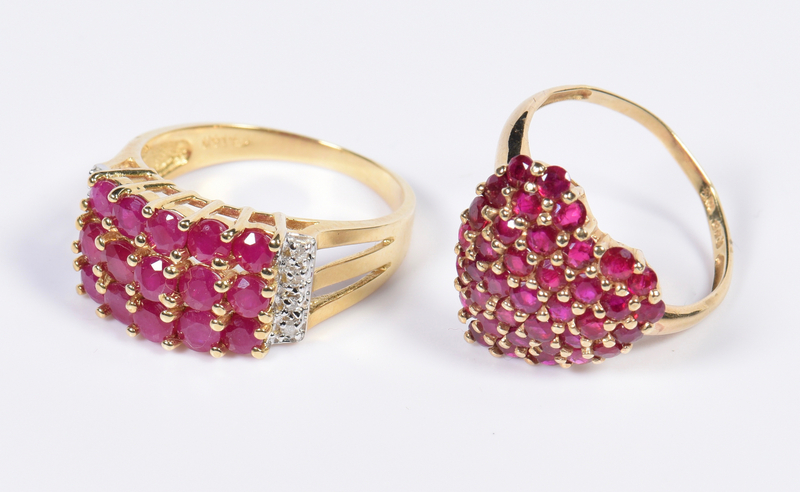 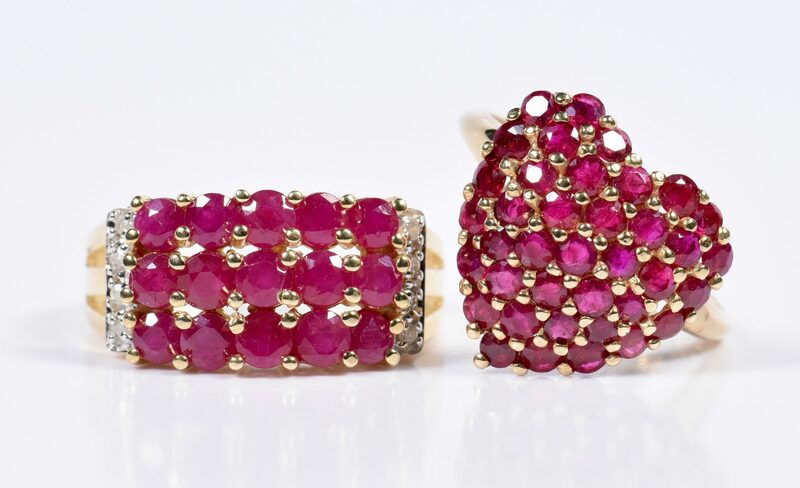 4th item: 10K yellow gold ruby cluster heart shaped ring, ring size 6 1/2, marked 10K, 2.5 grams. 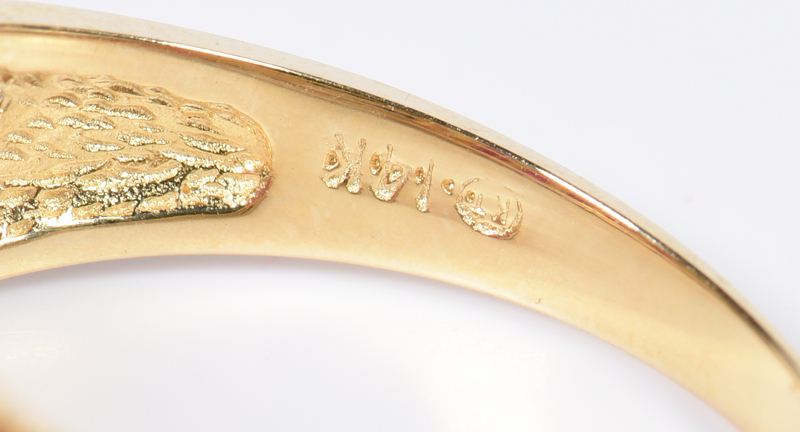 Total weight of 14K: 17.1 grams. 10K: 2.5 grams. 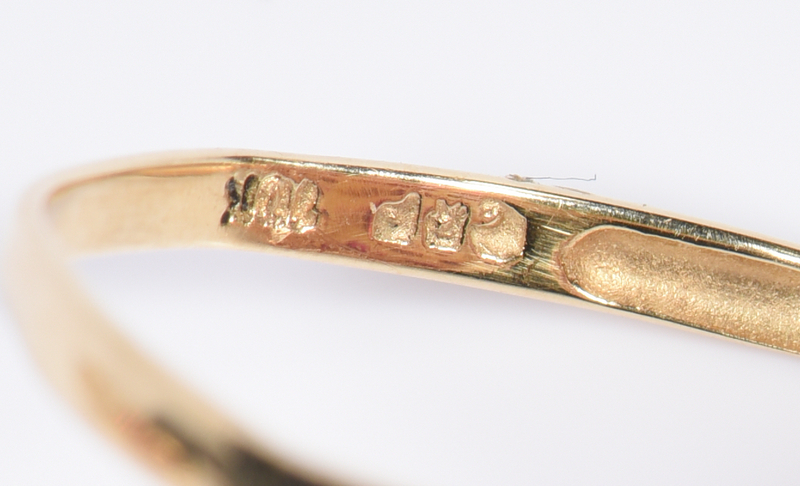 CONDITION: All in very good condition.